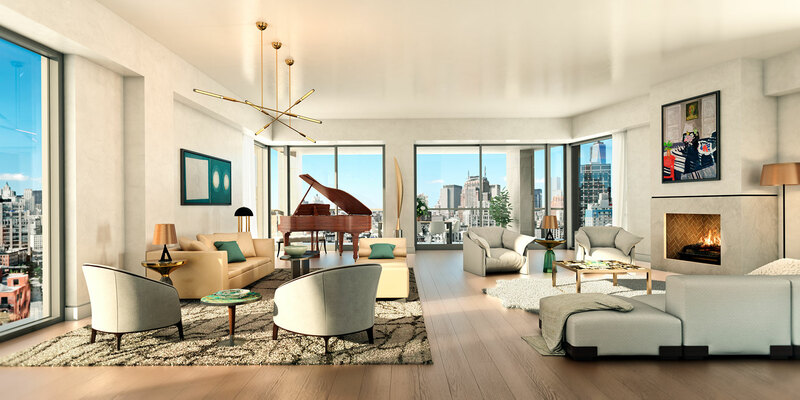 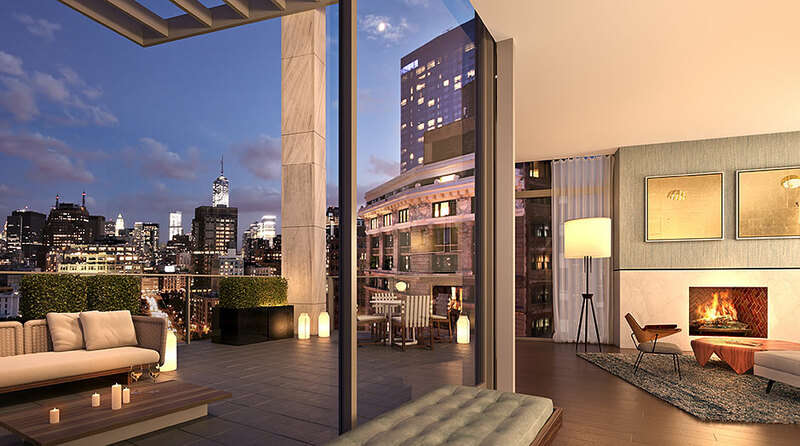 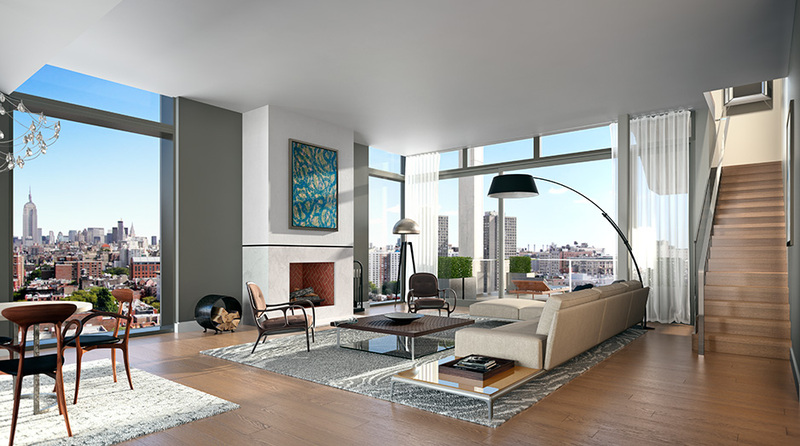 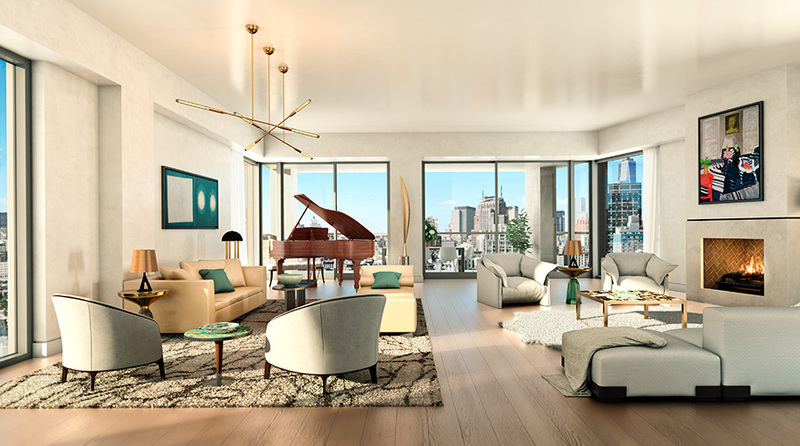 the three penthouses at one vandam provide beautifully inspiring spaces with soaring views, outdoor terraces, and wood burning fireplaces — each unique and spectacular. 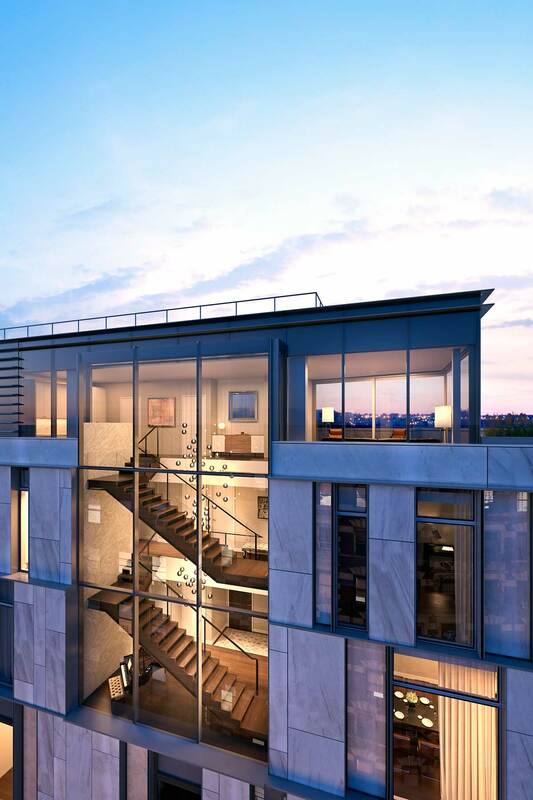 With over 5,200 interior sf, rooftop terrace with outdoor spa, 3 wood burning fireplaces, private elevator, and dramatic triple height staircase makes this the ultimate penthouse. 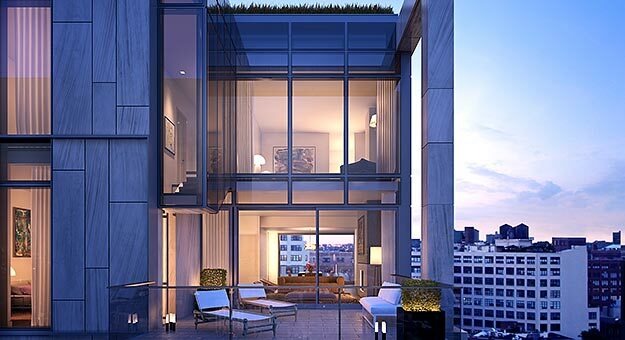 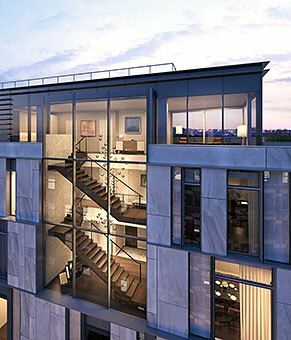 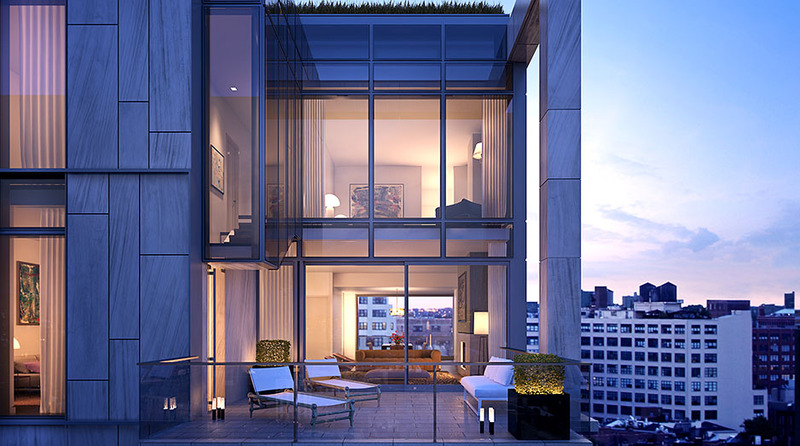 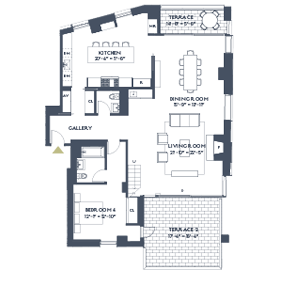 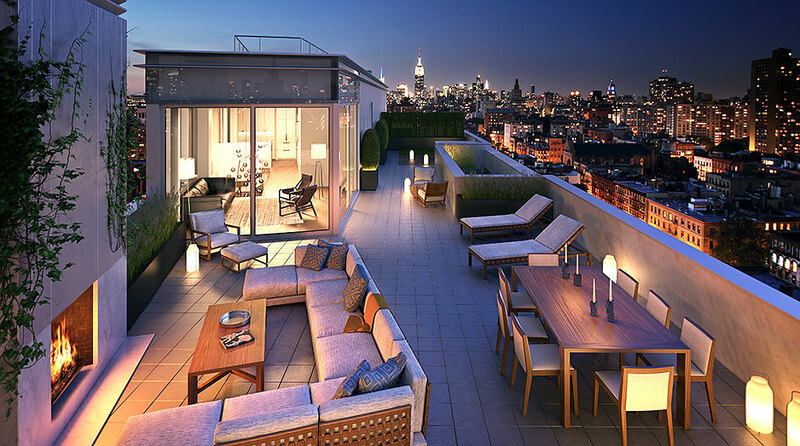 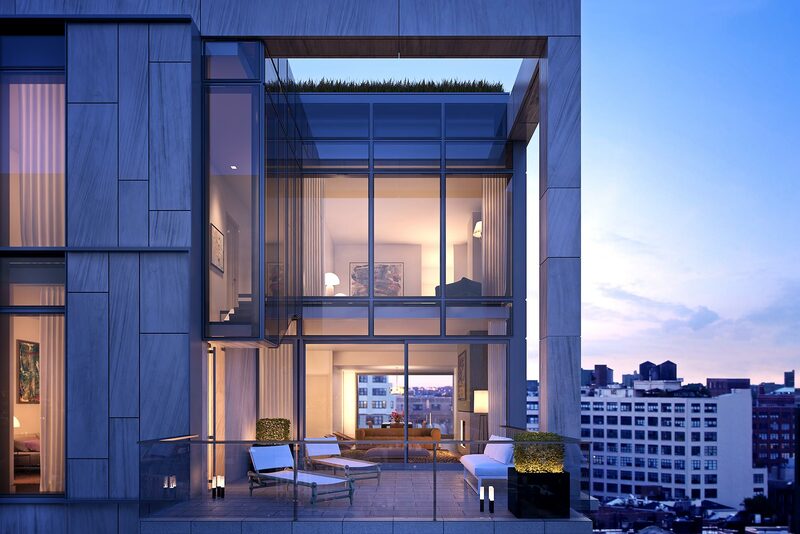 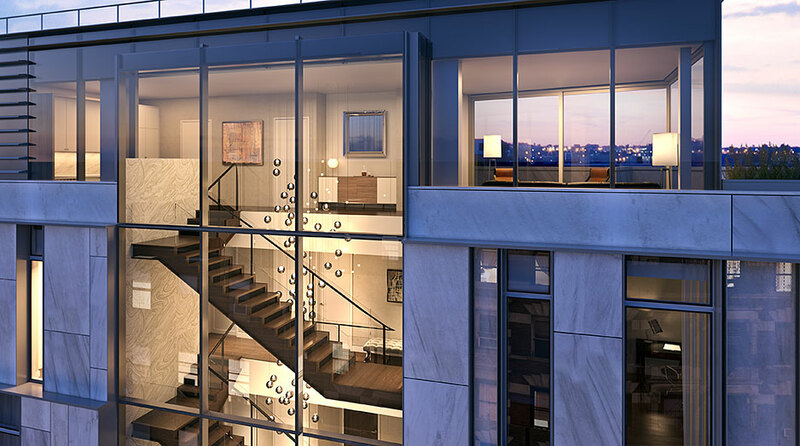 three penthouse configurations offer full-floor, duplex with roof terrace, or triplex options. 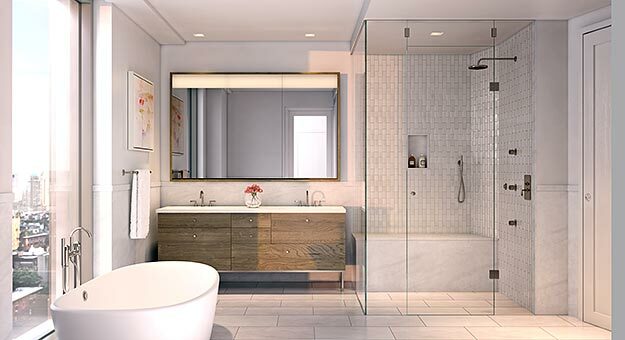 Penthouse master bathrooms offer expansive plans, large windows, floating soaking tubs, and exquisite finishes such as oxidized maple vanities, Heath ceramic tiles and custom designed watermark fixtures.